Talk around plants in office space is not new. 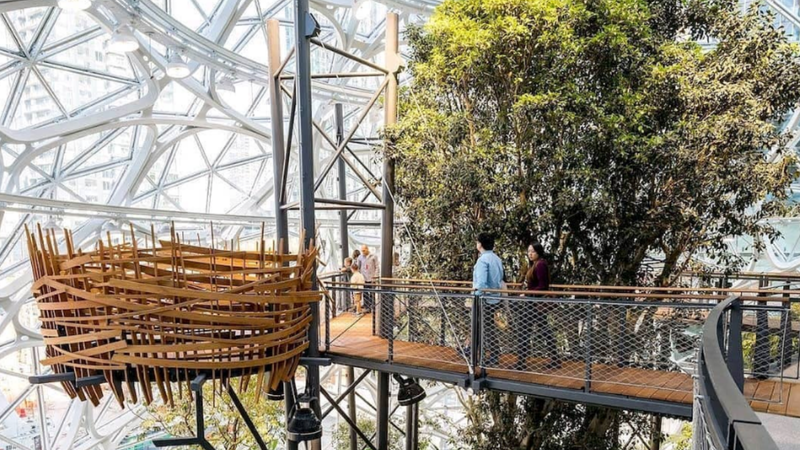 Biophilic design approaches have been around for a while and various studies, as well as stats have shown that it’s beneficial to have green life around you while working. Most of this talk, however, has solely focused on well-being in the office: plants help direct and guide energy in spaces; they help balance each individual’s energy among electronic devices; the color green visually suggests relaxation; plants improve air flow, which leads to better moods and improved concentration, ergo more productivity. 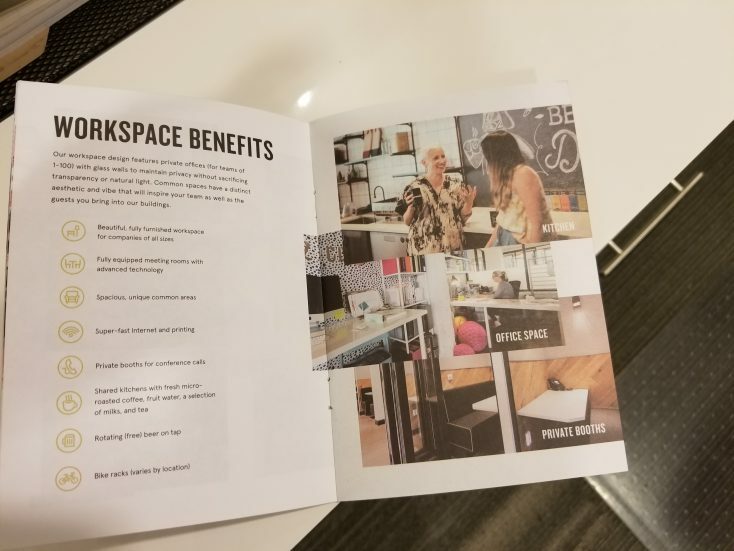 Without a doubt, workspace providers have abundant reasons to add green elements to their spaces, for the sake of well-being and (let’s be honest) for the sake of marketing as well. 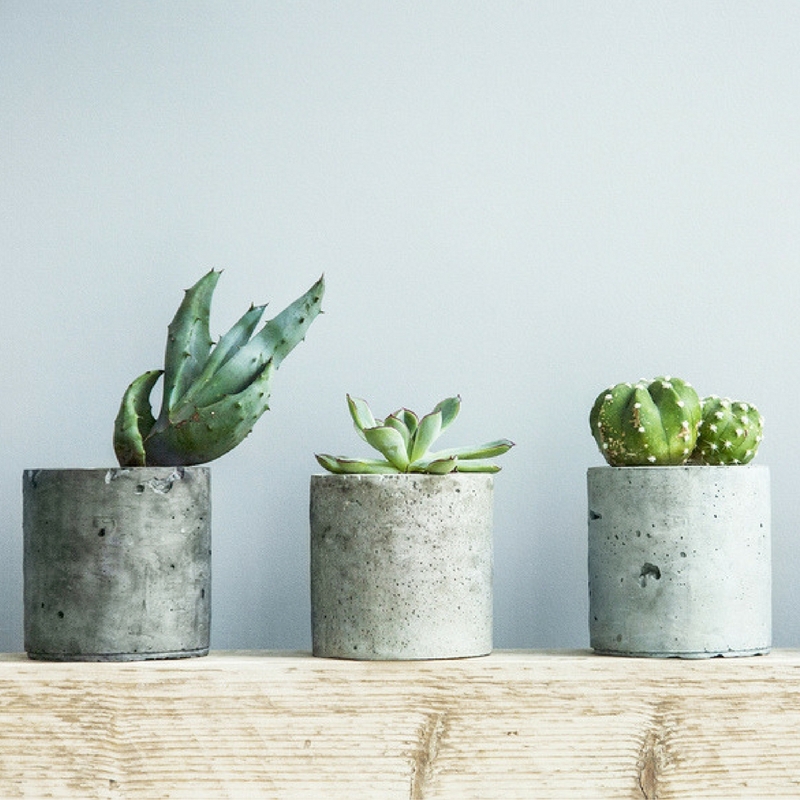 And if you’re still not yet fully convinced, we’re about to give you another reason to include plants in your office space–especially if you’re an open workspace provider. We’ve heard of plants absorbing energy, but that’s not all that they absorb. Somewhere among all the talk about wellbeing and energy talk, noise was left out and lost. 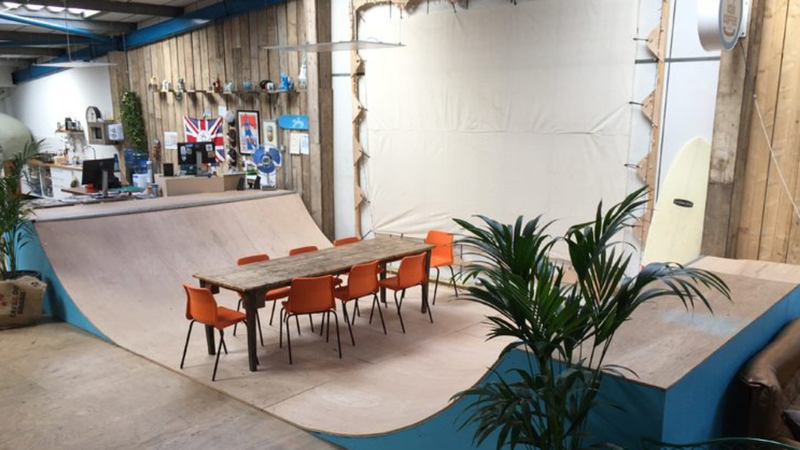 Open workspaces have been highly criticized for the high noise levels present in them. In fact, this might be the number one issue going against open workspaces and one that deters many from trying them out. 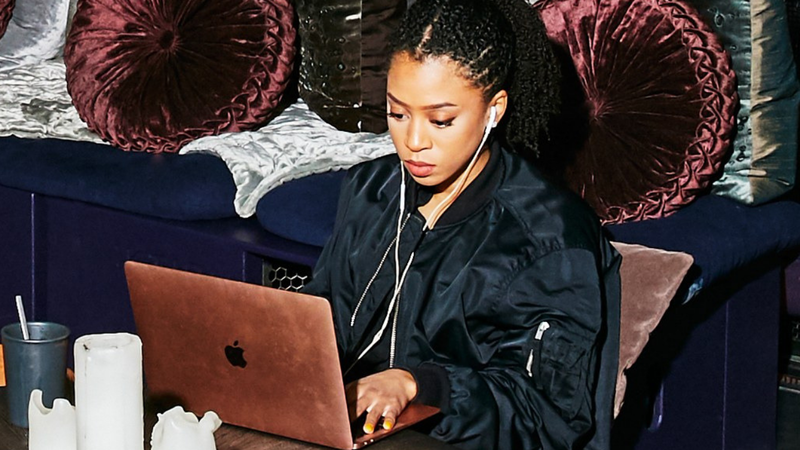 Noise is unavoidable; the sound of fingers typing away, the screeching sounds of some chairs, vibrating phones, people on video calls, colleagues working together, people snacking, air vents, heating systems–there’s no end to the list. 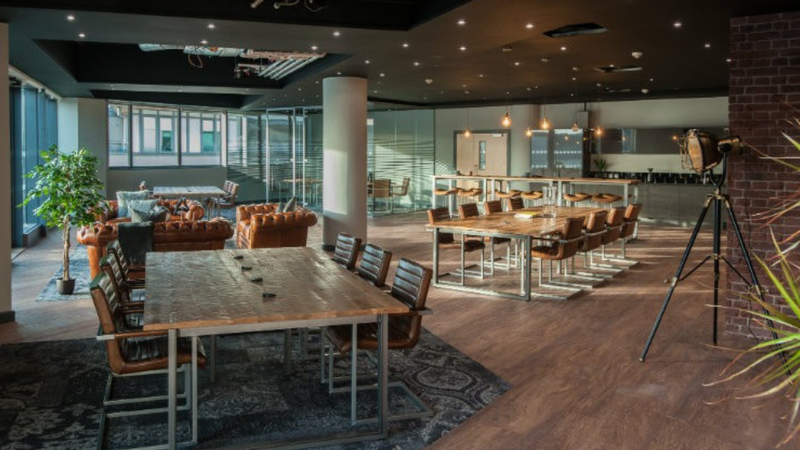 While we don’t expect workspaces to be noise-free, we do believe most members want lower noise levels. There are various way to approach this; during construction with construction materials, when laying out the space and deciding on furniture, including light noise absorbing materials like foam, and, today’s pick, using plants strategically. Having this in mind, there are different ways in which plants can be placed and used to help reduce noise levels. Think about distributing plants around your space instead of placing them all in one location. Consider positioning taller plants in big containers in corners and edges to prevent sound waves from bouncing and vibrating. You can also choose to include small plants so that workers can place them around their individual workspace in order to minimize the amount of noise travelling around. 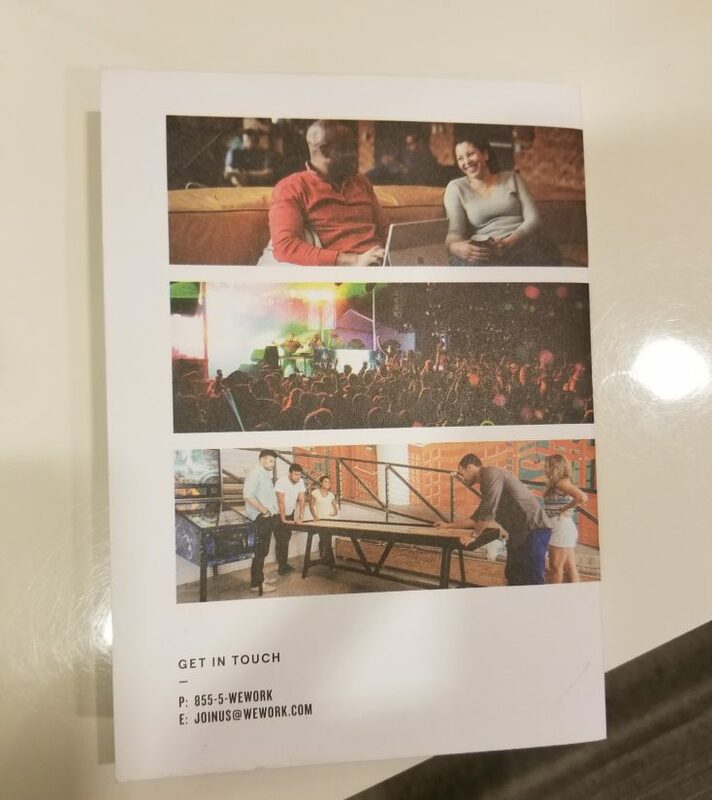 WeWork brochure handed out to non-WeWork workspace members. 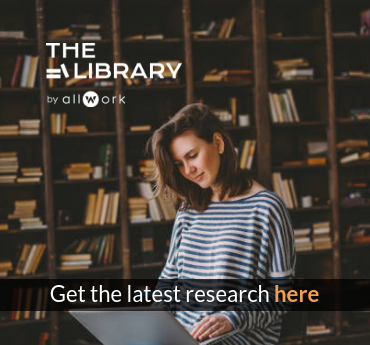 There are many ways for companies to transform workplace design that can boost productivity in employees from all generations, such as vibrant colors and breakout areas. A lack of natural light in the workplace can upset our cognitive processing, creativity levels, and mental and physical health. 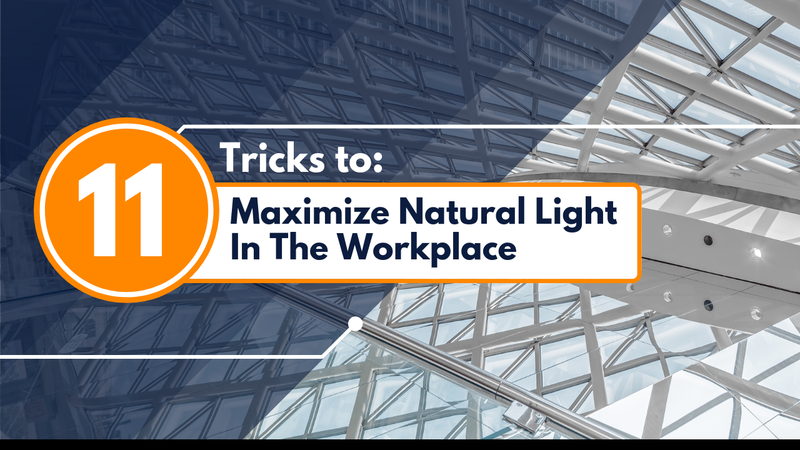 These 11 tips show you how to maximize natural light within the workplace, even in gloomy spaces where daylight is limited.